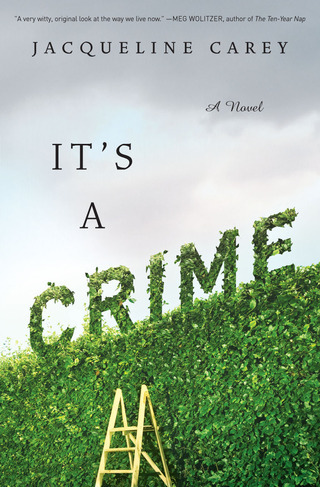 If Gatsby and Nancy Drew had a baby, its take on Twenty-First Century American corruption and denial might be as trenchant as Jacqueline Carey’s but I doubt it. Pat Foy leads a charmed life. She has a closeknit family, an expensive home, and a satisfying career as a landscape designer. She also reads mystery novels all the time -- yet can’t see what is happening right in front of her eyes. She is astonished when her husband Frank is arrested for accounting fraud at LinkAge, the huge telecommunications firm. “How could anything that boring be illegal?” she wonders. Then she starts getting an answer. White-collar mischief doesn't typically inspire vigilante justice. But that's just what happens when Pat Foy's husband is imprisoned for accounting fraud... In this ripped-from-the-headlines satire, Carey skewers corporate culture and its insidious effects: Though Dad's in jail, you can't help but think it's his family doing the hard time. This is a very witty original look at corporate scandals and the way we live now.